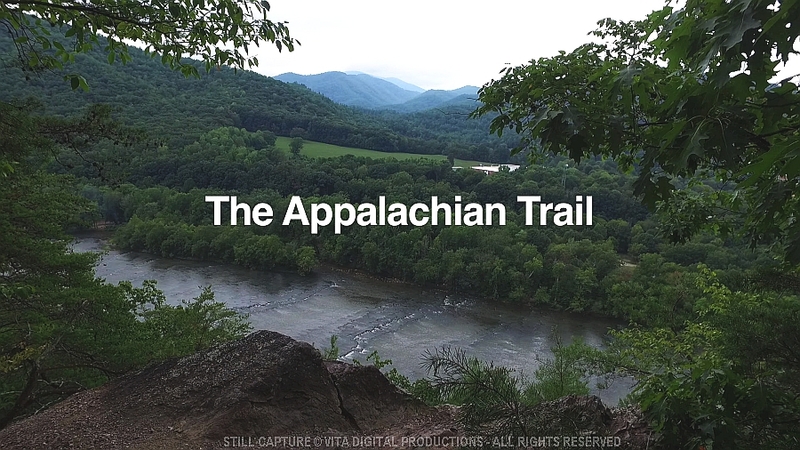 a 60 minute widescreen virtual walk along the historic and scenic Appalachian Trail. 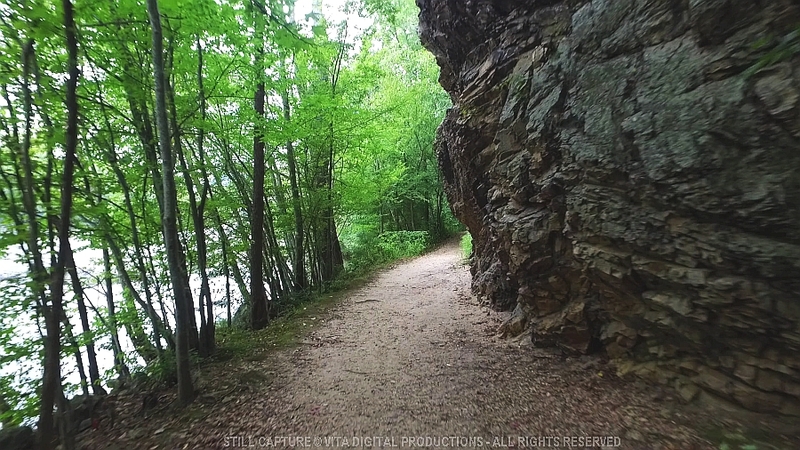 one of the most famous hiking trails in the United States. 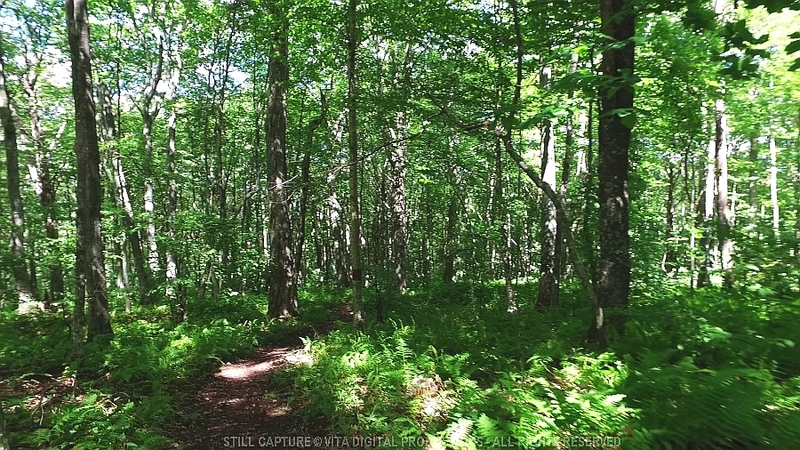 Massachusetts, Vermont, New Hampshire, and Maine. 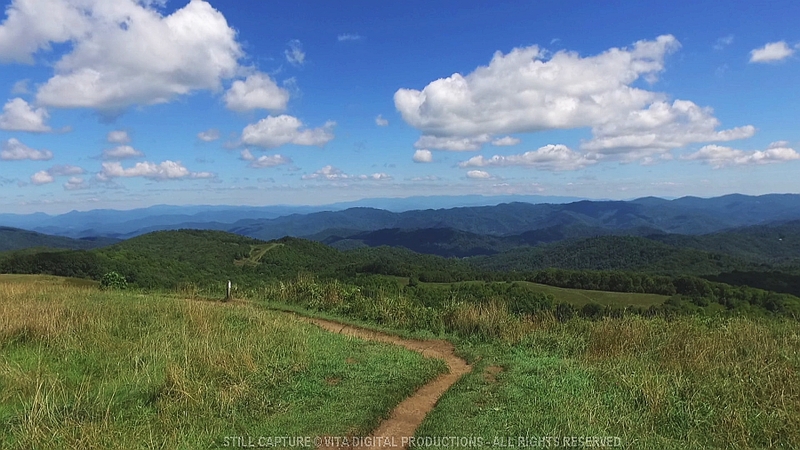 vistas of the Appalachian Trail as it winds through the mountains and valleys of North Carolina. 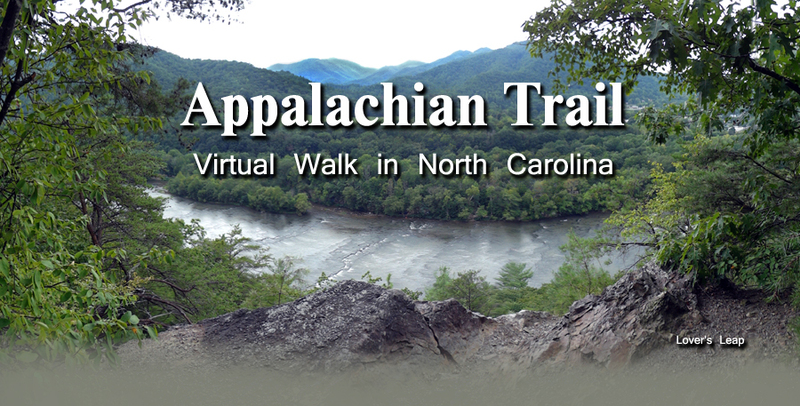 of your one-hour virtual walk through several different sections of the Appalachian Trail. 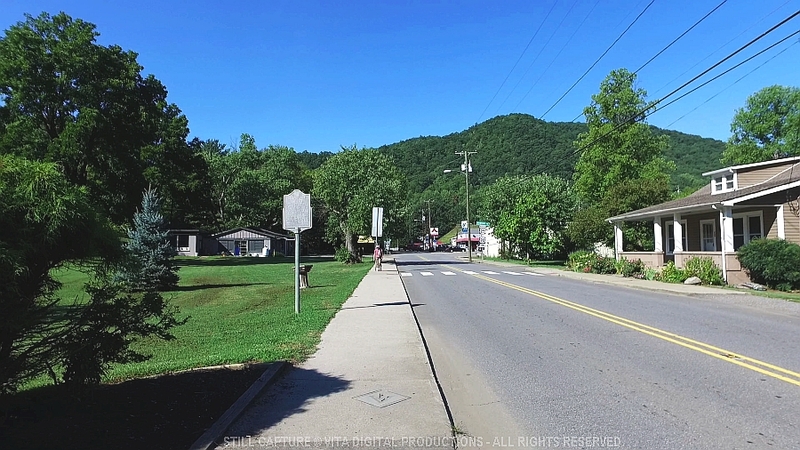 through the forest, into and through the town of Hot Springs, and across the top of scenic Max Patch Mountain. 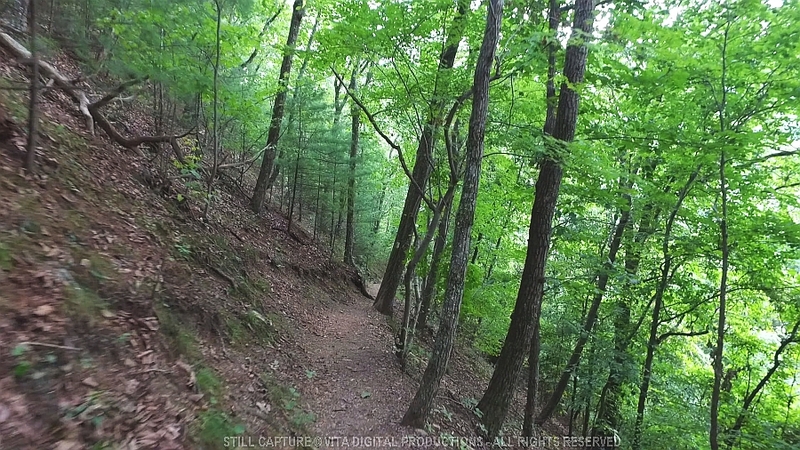 just as they were recorded in Dolby Stereo along the Appalachian Trail in North Carolina. 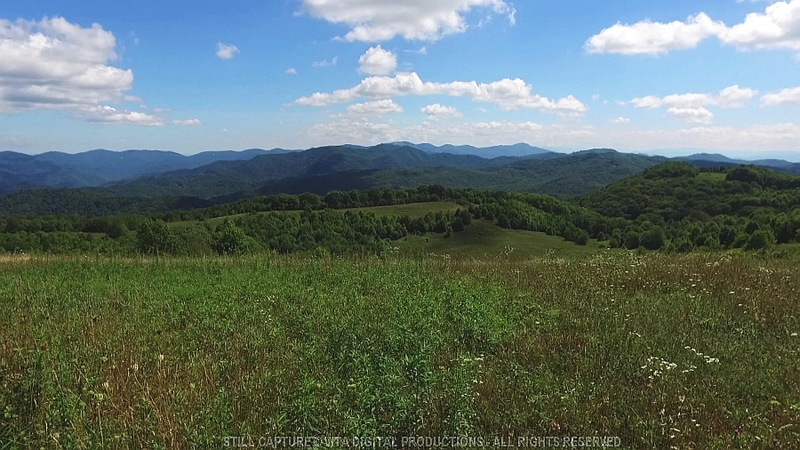 To Purchase this video as a DVD, click here. 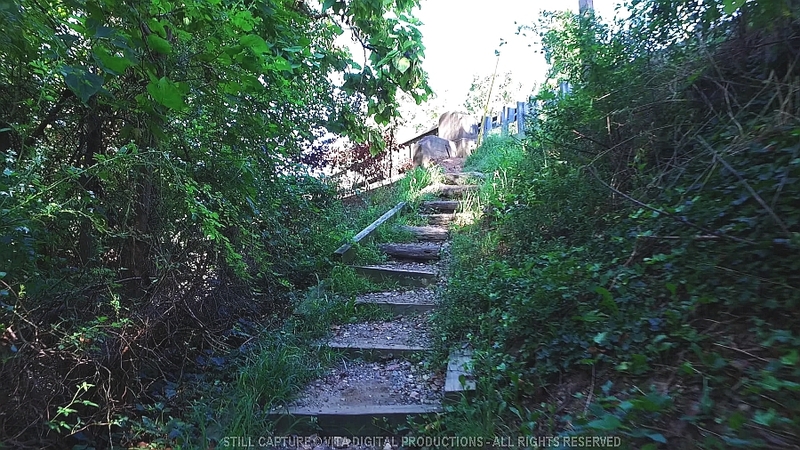 To Purchase this video as a 720p HD Download, click here. 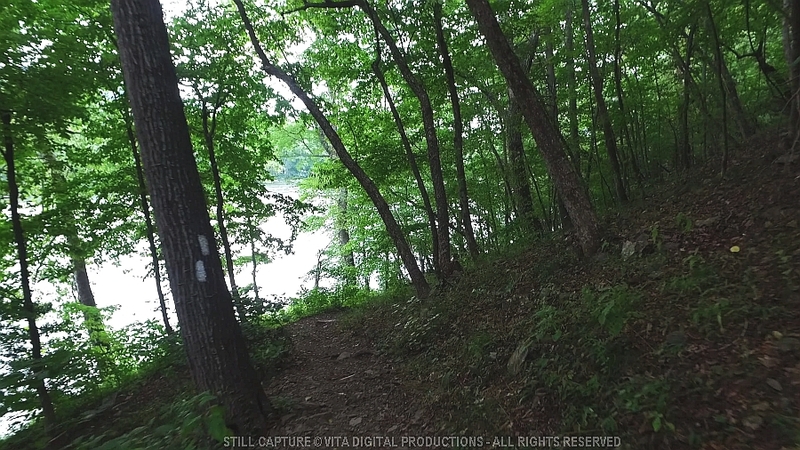 on the Appalachian Trail overlooking the French Broad River. 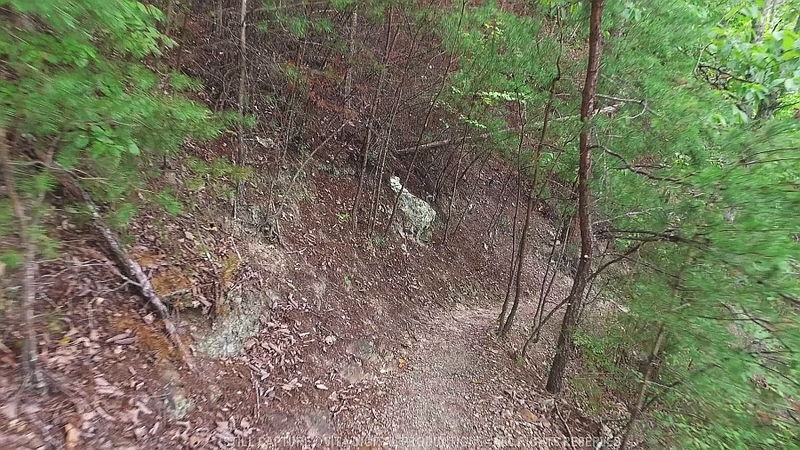 encountering several trail switchbacks because of the steepness of the trail. 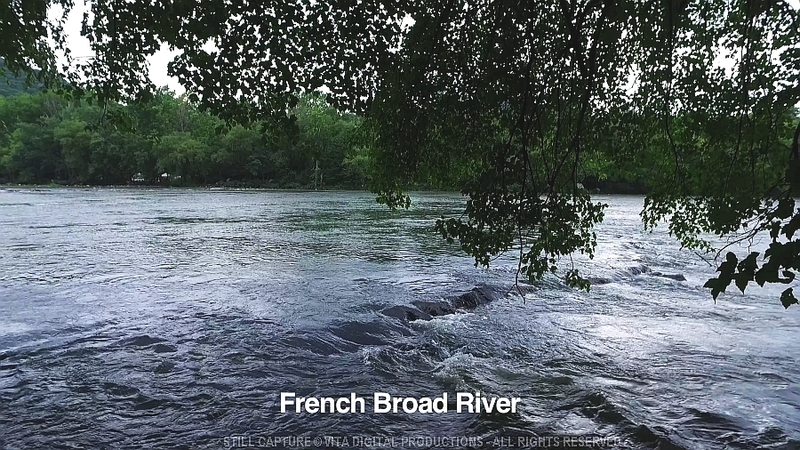 In the background, you can hear the sound of a section of rapids on the French Broad River. 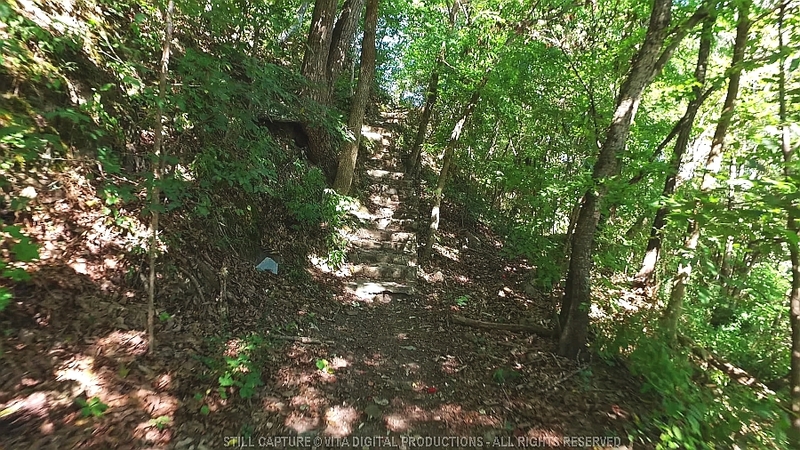 Thousands of day hikers come to Hot Springs every year to hike the Lover's Leap Loop on the A.T.
And an average of around 2,700 hikers complete the entire 2,200 miles of the Appalachian Trail each year. 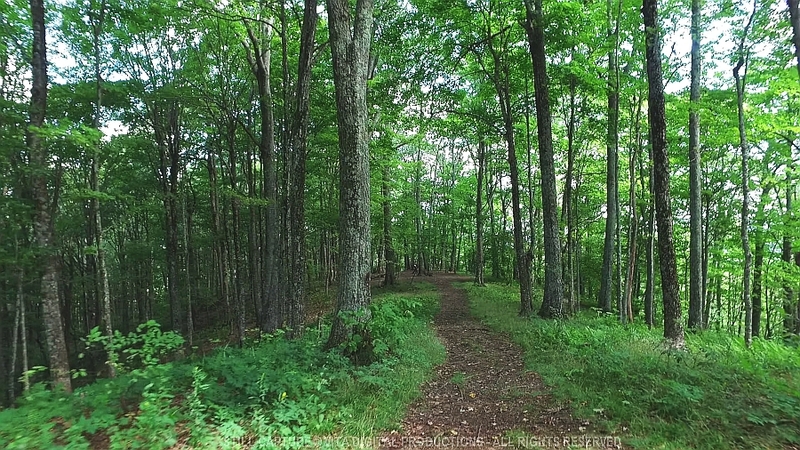 Almost every section of the Appalachian Trail produces a new surprise. 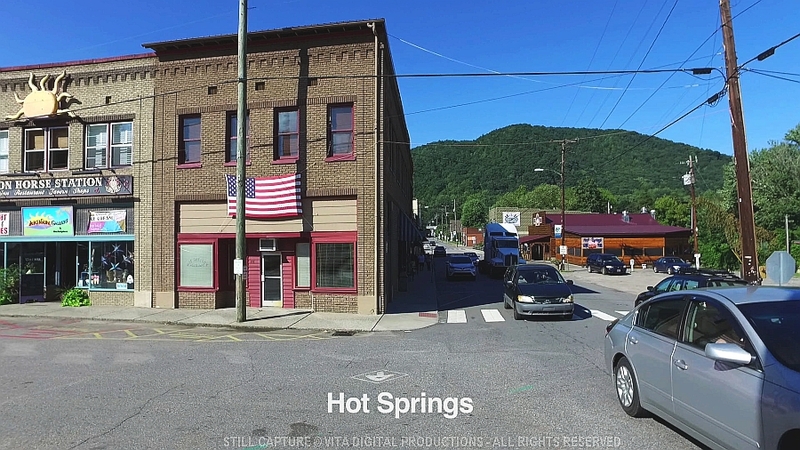 and approach the small town of Hot Springs. 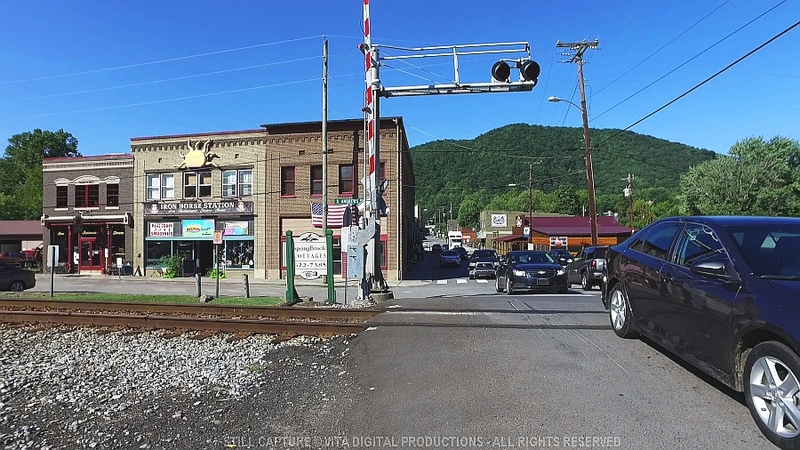 goes right through the center of town! 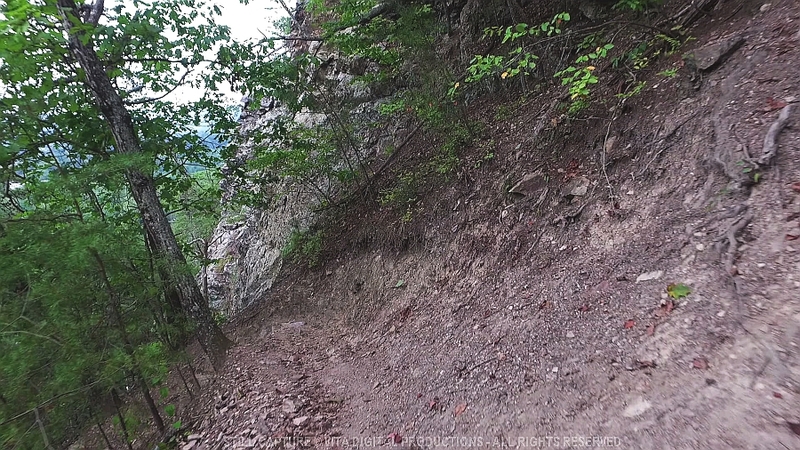 This must be one of the few locations where the trail becomes a paved sidewalk. 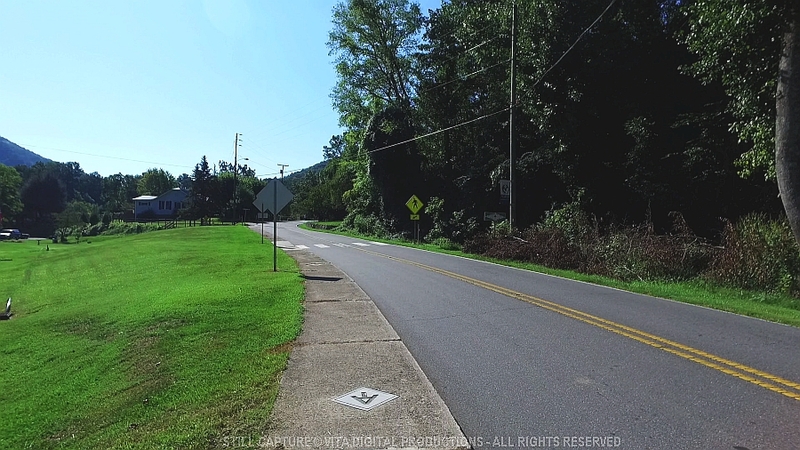 In fact, the sidewalk has the logo for the Appalachian Trail set into the concrete. 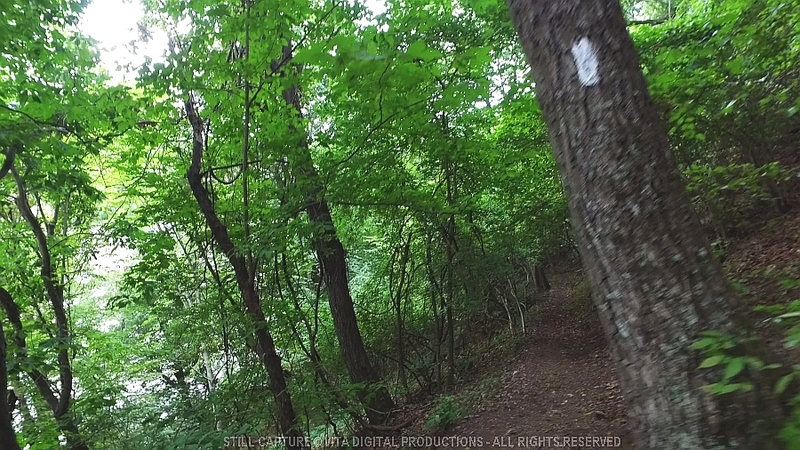 Up ahead, at the crosswalk, the Appalachian Trail turns and re-enters the forest. 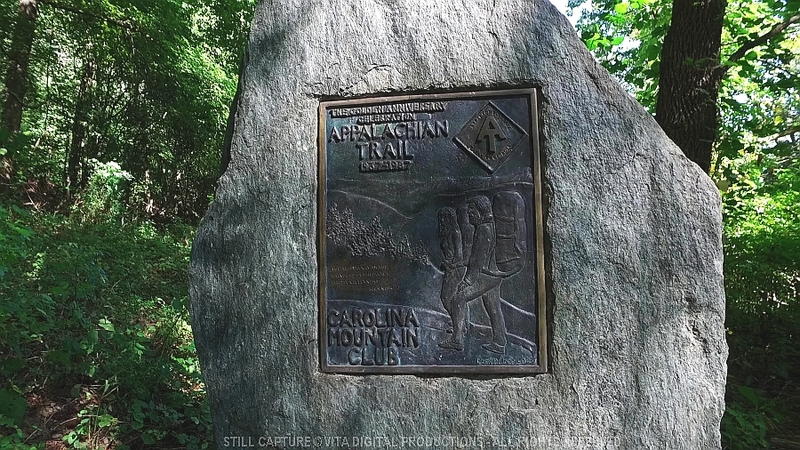 It's along this section of trail that you encounter one of the 50th Anniversary AT Plaques. 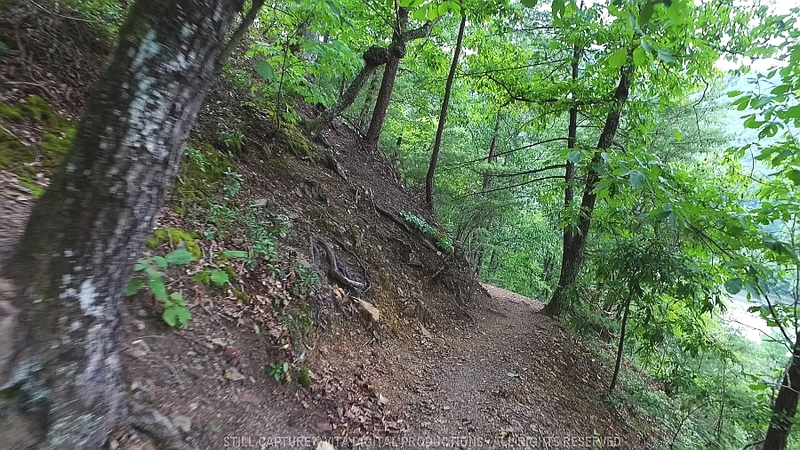 entering a section of forest with a floor of green ferns. 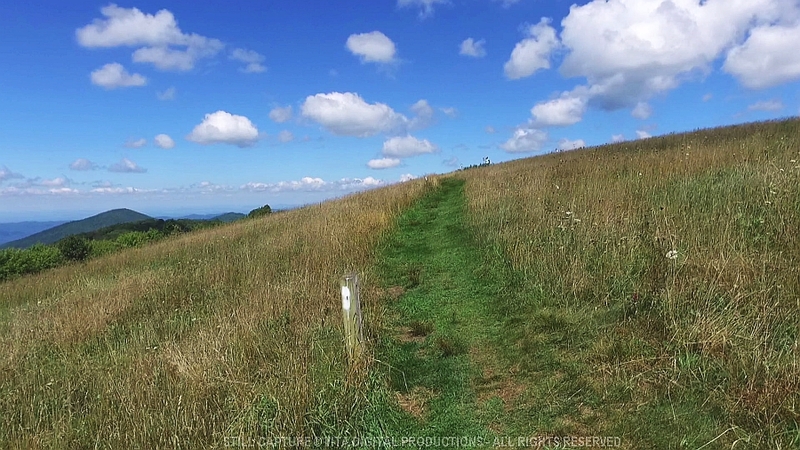 Finally, you find yourself on Max Patch Mountain, certainly one of the most interesting sections of the Appalachian Trail. 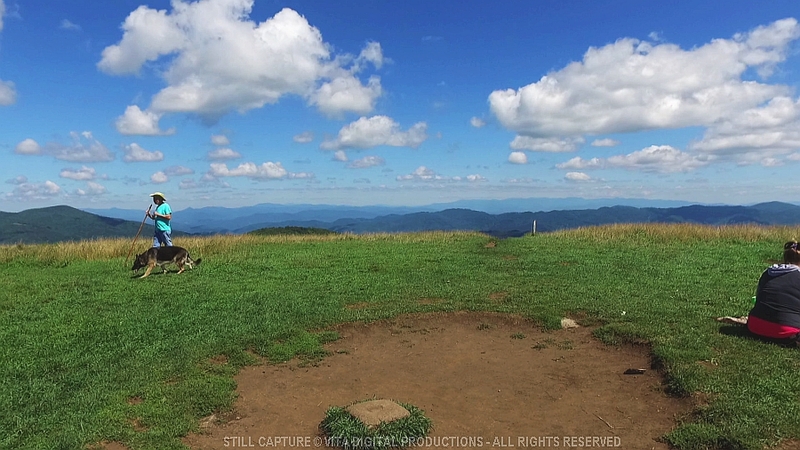 scenic vistas in every direction. 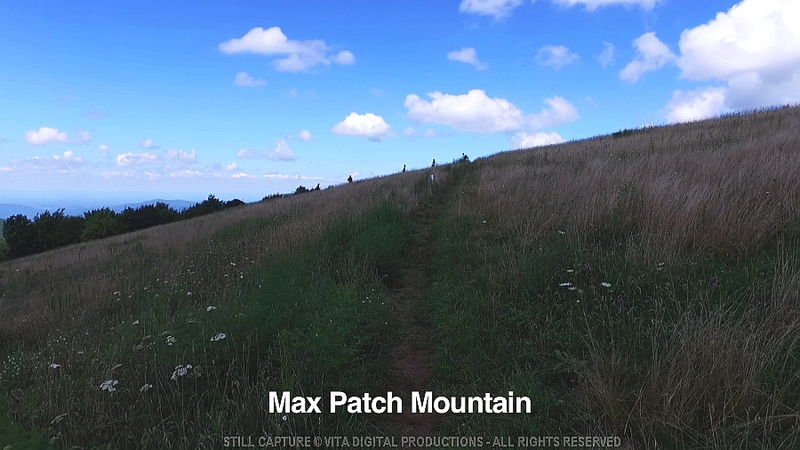 Hikers, both serious and day, along with picnickers, are enjoying the amazing view from atop aMax Patch Mountain. 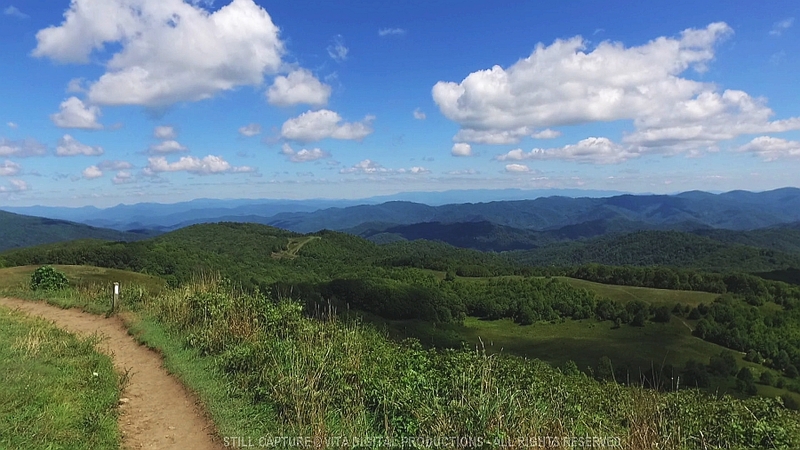 your one hour Appalachian Trail Virtual Walk in North Carolina ends with this magnificent view. 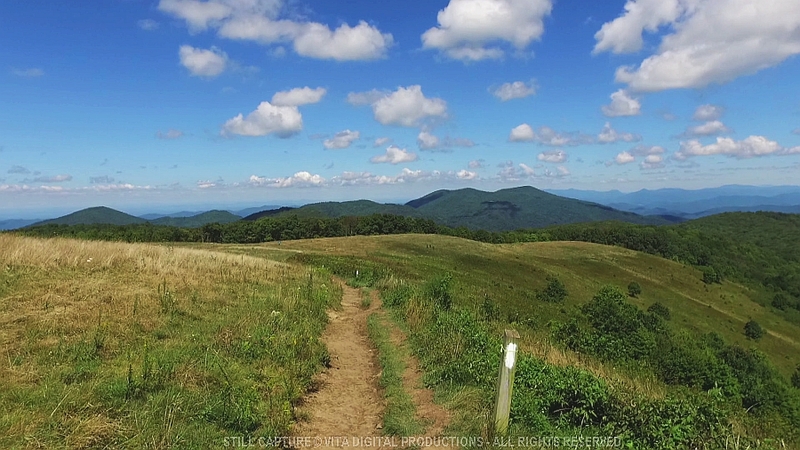 Want other sections of the Appalachian Trail? Let us know and we'll film other states. other people while we filmed this video - many sections had no people at all. 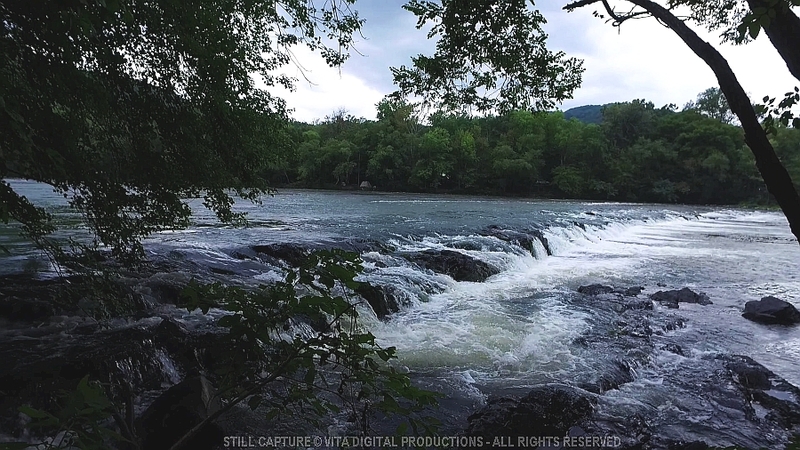 by the Natural Sounds in Dolby Stereo as they were recorded along the Appalachian Trail and in Hot Springs. 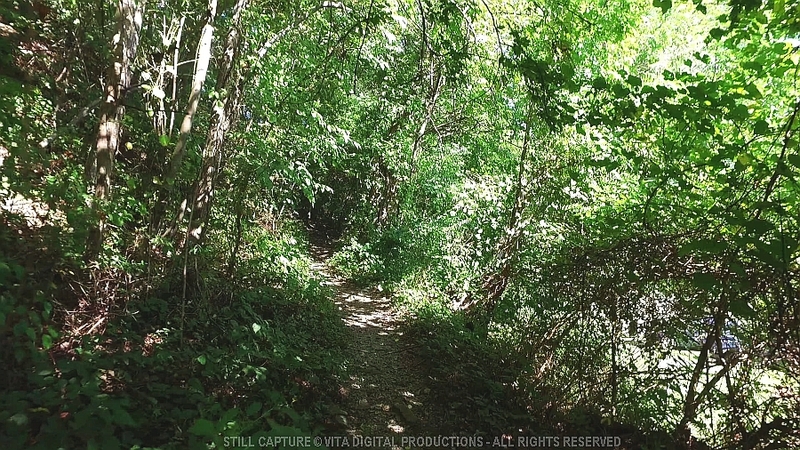 All of the above photos are actual still frames from this download and DVD. DVD, please click here to visit our Amazon Store. and Region 4 - Latin America, New Zealand, and Australia.